Environmental challenges and the key actions needed to effect change are sometimes affected by cultural perceptions and stigmatization of certain types of informal work within society. It is a problem that requires dialogue and exchange of ideas directly with youth in order to effectively address environmental issues in Haiti. Port au Prince, Haiti: I am an international UN Volunteer with the United Nations Stabilization Mission in Haiti (MINUSTAH) engineering section, specialized in administration and finance. I have a dedicated passion for nature and the environment and have volunteered in my home country of Gambia to promote sustainable and profitable solutions to urban environmental challenges. I have practical experience working with communities in cities, and have discovered that these urban environmental challenges in fact present economic opportunities which, when adequately exploited, can bring about remarkable economic revenue and contribute immensely to sustainable and inclusive development. 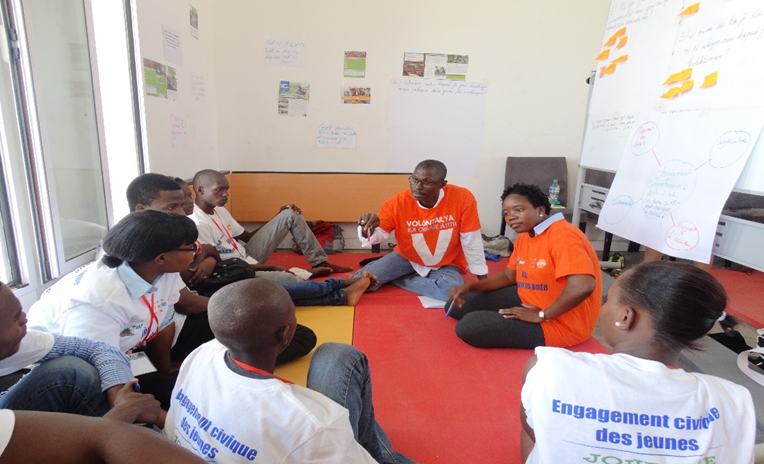 During the activities marking International Youth Day last year in Port-au-Prince, I shared practical solutions to urban waste and environmental management implemented in Gambia, and noticed that the youth participants recognized the same problems in their own communities in Haiti. These challenges and the key actions needed to effect change are sometimes affected by cultural perceptions and stigmatization of certain types of informal work within society. It is a problem that requires dialogue and exchange of ideas directly with youth in order to effectively address environmental issues in Haiti. With this in mind, it is important to develop the capacities of youth as individuals, and to support youth groups with business methods and principles in order to avoid environmental degradation and create jobs to reduce poverty and contribute to national development efforts.